There are mixed expectations over Ghana's ability to meet the new implementation date for the West African common currency, the Eco. The country is racing against time to meet the 2020 timeline. The dream for a single currency has continuously failed to materialize as the deadline for implementation has been postponed several times to 2020. 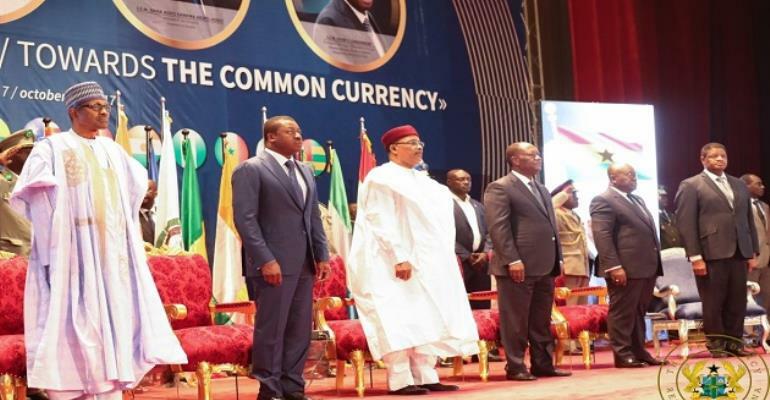 President Akufo-Addo recently reaffirmed that the implementation of a common currency for ECOWAS member states cannot be rescheduled beyond the 2020 deadline. But to what extent are the country's current performances under the ten convergence criteria influencing this aim? Citi Business News' Bobbie Osei has been assessing Ghana's performance and has come through with this report. Click to listen to the full audio report.